This apartment has a total of 3 bedrooms and 2 bathrooms and it is in an impeccable condition. It also has a separate kitchen and a beautiful living room with fireplace from where we find an exit to the terrace. From the living room and one of the bedrooms we also have fantastic views of the sea and the mountains. 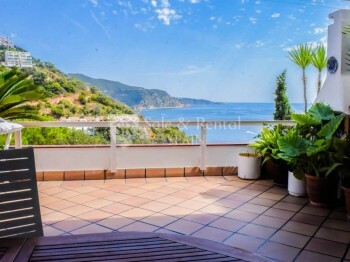 It is a unique opportunity, for its fantastic views and its excellent quality. You have to visit it, you will love it!